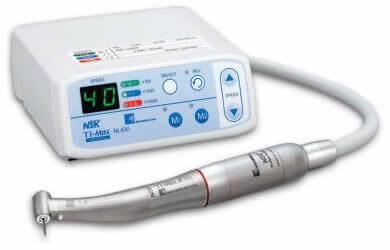 Electric Dental Handpiece System: The dental handpiece driven by an air turbine was a huge advancement in dental technology. 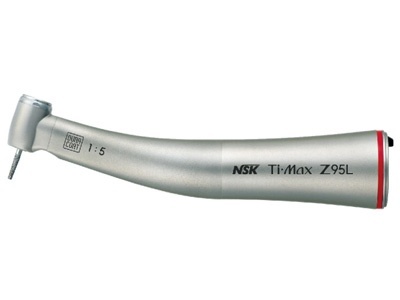 Getting more use than any other tool in the operatory, the dental handpiece has seen gradual innovation over the years. 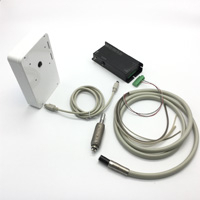 Electric handpieces continue to be refined to a point where they match their air driven counterparts. Driven by an electric motor, these handpieces make it easier to have smooth cuts, and refined margins with higher torque and precision. 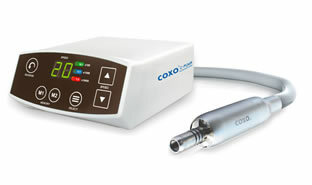 The high speed attachment can easily be switched out to attach a contra angle or endo handpiece.